Call 219-440-4766 to schedule your first appointment. If you’re looking for a hearing aid or you simply need your hearing checked, come see the experienced hearing care specialists at the Miracle-Ear® hearing aid center serving Michigan City and Beverly Shores. We have more than 1300 locations nationwide, so even if you’re traveling, you’ll be able to take advantage of our lifetime care by finding one of our other centers. Each location is independently owned and operated. We're America’s most recognized brand of hearing aids. Our hearing solutions with GENIUS™ Technology have high-definition digital sound, fingertip controls for smartphones, and remote control options. The technology behind these hearing aids is driven by Bluetooth®, which makes connectivity easy and convenient. Since every listening environment is different, this technology will allow you to make changes that remove background noises or increase volume. When you’re looking for hearing aids in Michigan City, IN, you’ll find that at Miracle-Ear, we'll give you a risk-free, 30-day trial** and a three-year limited warranty† on most of our solutions. Our experienced hearing care specialists will help you find the best match for your needs. Call us today to discover and experience the Miracle-Ear® advantage. 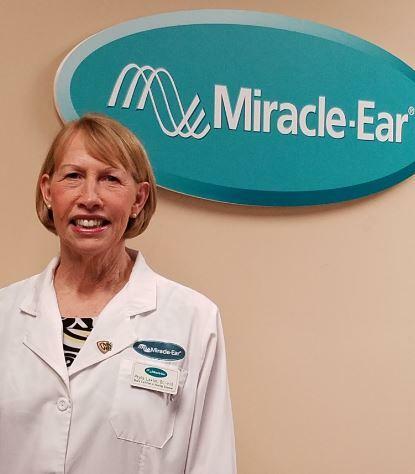 Phyllis has been with Miracle-Ear since 1995. Phyllis has 22 years experience as a Hearing Instrument Specialist. Phyllis is licensed by the State of Indiana and she is a member of the International Hearing Society. Phyllis is Board Certified by the National Board for Certification in Hearing Instrument Sciences. Her undergraduate education was at Calvin College, Grand Rapids, MI and she continues to receive education in hearing health care through out each year of her practice. Phyllis's favorite part of working at Miracle-Ear is the happiness of people when they begin to hear really well and the relationships that are formed working together over the years.